Conversion, Cargo Van Seat Belts, Box Truck Seat Belt, Bus Seat Belts or Motorhome Seat Belt Installation (also for retrofitting some early model cars). 3 Point Retractable Seat Belt with 7 inch long sash guide FMVSS Federal Safety Approved: (Best for Cargo or Conversion Van, Bus, Box Truck or Motorhome where the shoulder anchor is elevated usually above the side window) CAUTION: Read these van, truck, motorhome and bus seatbelt instructions thoroughly before installing this safety harness. These instructions apply only to seat belts from Wesco, not to be used with a seat belt from other manufacturers or retailers. 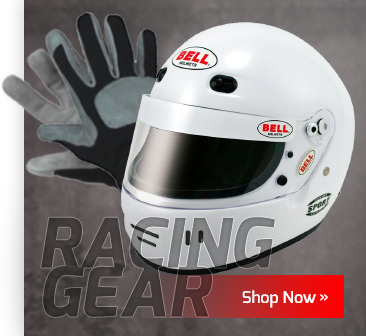 Not for use in aircraft or racing competition. Step # 1: To begin, remove the existing seat belt from your van, bus, truck or motorhome including the long side of harness on the outboard side (towards the door, between the seat and the side of the vehicle) and the short side of the seatbelt on the inboard side. 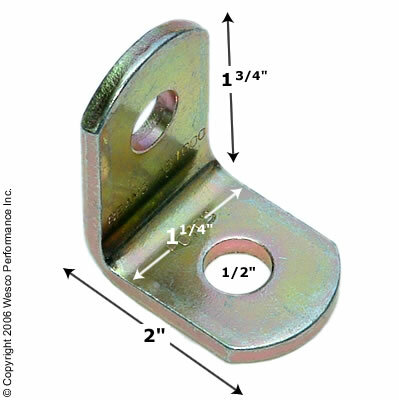 Note: With some vehicles, the anchor point is located on the floor which requires the use of an Angle Bracket. (See Fig. 2 to the left) (An angle bracket is included in our optional Hardware Kit # 3pt-rmk.) See our replacement Hardware Page Click Here. Important If no anchor points exist, then before replacement, anchor points must be safely created. Step # 3: Now insert the Shoulder Bolt (7/16" fine thread Grade 5 or better) through the hole in the Long Shoulder Sash (B) End of the new seat belt and screw the bolt into the existing anchor point that is located on the upper door post (usually above the side window of your car, van, box truck, bus or motorhome) as you can see in Fig. 1 and then firmly tighten. My vehicle does not have a shoulder bolt anchor point. How do I create One? Click Here! Now snap the Shoulder Bolt Cap down over bolt head as shown in Fig. 3 to the left. Insert the grade 5 hex bolt through the hole in the (E) End of the bench seat belt end as shown in Fig. 4 to the left, and then screw the hex bolt into the existing anchor point (threaded hole). The hex bolt should be firmly tightened. Use a new hex bolt from Wesco or a 7/16" fine thread hex bolt (Grade 5 or better) from the old seatbelt. That's it, you're done and ready to enjoy your new seatbelt! Note: With the "Bench Seat End" installation, No additional hardware is required whether the anchor point is located on the vehicle floor or on the side of the drive shaft tunnel (the hump that runs down the center of the vehicle floor). When the existing anchor point is located in the side of the drive shaft tunnel: Using a 7/16" fine thread hex bolt (Grade 5 or better) either from the old restraint or a new hex bolt from Wesco, simply insert the hex bolt through the hole in the (D) End of the bucket seatbelt end as shown in Fig. 5 to the left. Then screw the hex bolt into the existing anchor point on the side of the drive shaft tunnel. 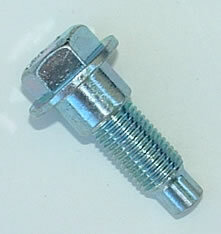 The hex bolt should be tightened securely. The (D) End of the bucket seat end comes with a round plastic cover that can be replaced after tightening the bolt. You're done! When the existing anchor point is located in the floor: Then an Angle Bracket Click Here is required as shown in Fig. 6 to the left. 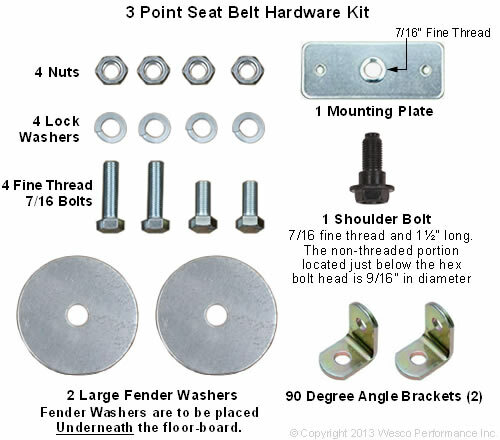 Attach the angle bracket to the floor of the vehicle using a grade 5 or better 7/16" fine thread hex bolt (that is included in any of Wesco's hardware kits). The hex bolt should be tightened firmly. Now put the original 7/16" fine thread grade 5 hex bolt (or a new one from Wesco) through the (D) End of the bucket seat end and then through the hole in the angle bracket. Attach a 7/16" fine thread Grade 5 lock nut (or lock washer and nut) and firmly tighten. The (D) End of the bucket seat end comes with a round plastic cover that should be replaced after tightening the bolt and nut. You're done!